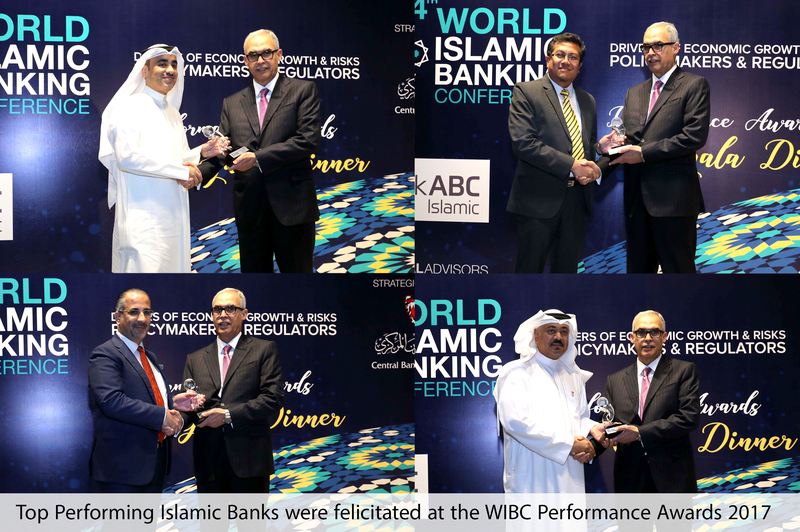 Top performing Islamic Financial Institutions from Bahrain, Egypt, Indonesia, Jordan, Kuwait, Malaysia, Oman, Pakistan, Turkey, UAE and Saudi Arabia are vying for the WIBC Awards recognizing the Best Performing Banks at the Global and Regional level. Manama, Kingdom of Bahrain: A testament to its vision of advancing the global Islamic banking industry, the 25th World Islamic Banking Conference (WIBC) will continue in its endeavor of enhancing the performance and quality of key Islamic financial institutions by means of the 4th WIBC Leaderboard. Introduced in 2015 and forming the basis of the annual WIBC Performance Awards is the WIBC Leaderboard: a first-of-its-kind comprehensive assessment tool aimed at helping the Islamic finance industry to critically appraise the challenges and growth opportunities that lie ahead. The WIBC Leaderboard ranks Islamic banks as compared to their key competitors at the global and regional levels, based on various robust financial and governance metrics. These metrics comprise: Financial Stability (Total Capital and Tier 1 Capital Ratios, Loan-Loss Reserves (LLR) to Gross Loans Ratio, Loan-Loss Reserves (LLR) to Non-Performing Loans (NPL) Ratio, Non-Performing Loans (NPL) to Gross Loans); Financial Performance (Return on Average Assets (ROAA), Return on Average Equity (ROAE), Cost-to-Income Ratio (CIR), Assets Growth) and Governance and Social Responsibility (Financial Disclosure Index, CSR Disclosure). In addition to the individual metrics, banks will be ranked on the basis of an aggregate score, which forms the apex of the WIBC Leaderboard. This aggregate index holistically ranks entities on the basis of the aforementioned financial and governance measures. The data employed in creating the assessment framework has been sourced from the ICD Thomson Reuters Islamic Finance Development Indicator (IFDI) and Orbis Bank Focus. Top performing Islamic financial institutions will be vying for 2 categories of the awards: One Global Award and Three Regional Awards for each of the following world regions: GCC, Asia and Levant. Currently, top performing Islamic banks vying for the Global Award include: Kuwait Finance House (Kuwait); Al Rajhi Bank (Saudi Arabia); Jordan Islamic Bank (Jordan); Kuwait International Bank (Kuwait); Boubyan Bank (Kuwait); Ahli United Bank (Kuwait); Warba Bank (Kuwait); PT Bank Syariah BNI (Indonesia), Maybank Islamic Berhad (Malaysia) & Dubai Islamic Bank (UAE). Introduced as part of the 2nd WIBC Leaderboard, The Governance & CSR Award (Corporate Social Responsibility) will be a key award constituting this year’s WIBC Performance Awards, the scores of which will be aggregated as per the CSR Index and the Islamic Finance Development Indicator (IFDI). The Governance and Social Responsibility variables are extracted from the Thomson Reuters database. The innovative 25th edition will also see an Award for the Fastest Growing Bank (in terms of asset growth) to recognize an Islamic financial institution that has expanded rapidly over the last year. Confirmed partners at The 25th WIBC so far include: Casablanca Finance City Authority, Ithmaar Bank, Khaleeji Commercial Bank (KHCB), World Gold Council, Bank ABC, Bank of Khartoum-International, First Energy Bank, Bahrain Islamic Bank (BisB), DWF, Al Baraka Banking Group, Thomson Reuters, Path Solutions, Moody’s Investor Service, Emerico, The Perth Mint, WTS Dhruva Consultants, Baker McKenzie, Eiger Trading, Department for International Trade – British Embassy Bahrain, DDCAP, Fitch Ratings, Sadad & GPS. The theme for the 25th WIBC – “Islamic Finance & Sustainable Economic Growth in the Age of Disruption” is in line with the conference’s steady vision to serve as a compass for the global Islamic finance and banking industry, with the three-day forum expected to draw participation from over 1300 global industry leaders, policy makers, innovators and stakeholders, all focused on generating breakthrough insights that help navigate through the complexities of the global financial system.